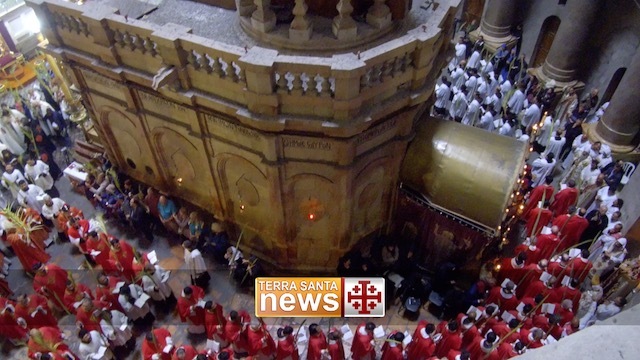 home / Multimedia / The Holy Land in news / Gaza: ATS pro Terra Sancta continues to be involved in .. In an extremely delicate social context, where disabled children are frequently kept at the margins of society, a number of measures are being carried out to help meet the needs of these children. The priests of the Parish of the Holy Family, along with the Sisters of the Incarnate Word and the Sisters of Charity, have been active for many years in welcoming and taking care of the most vulnerable and needy children in Gaza. At the present time they are caring for approximately 50 children, ranging in age from several months to the teenage years, in their facilities. ATS pro Terra Sancta is continuing to raise funds in support of this charitable initiative, where a small contribution goes a long way, providing a sign of hope and love in a land continually suffering from pain. To help the Parish of the Holy Family in Gaza, ATS pro Terra Santa is counting on the generosity of numerous large and small donors! You too can help confront this emergency situation and provide a real support to the disabled children of Gaza.